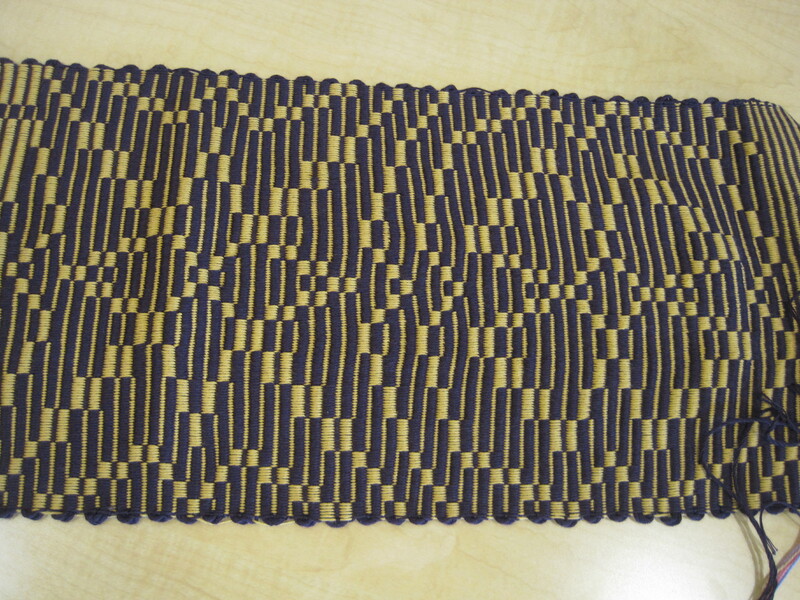 Today we worked on weaving motifs in repp weave. 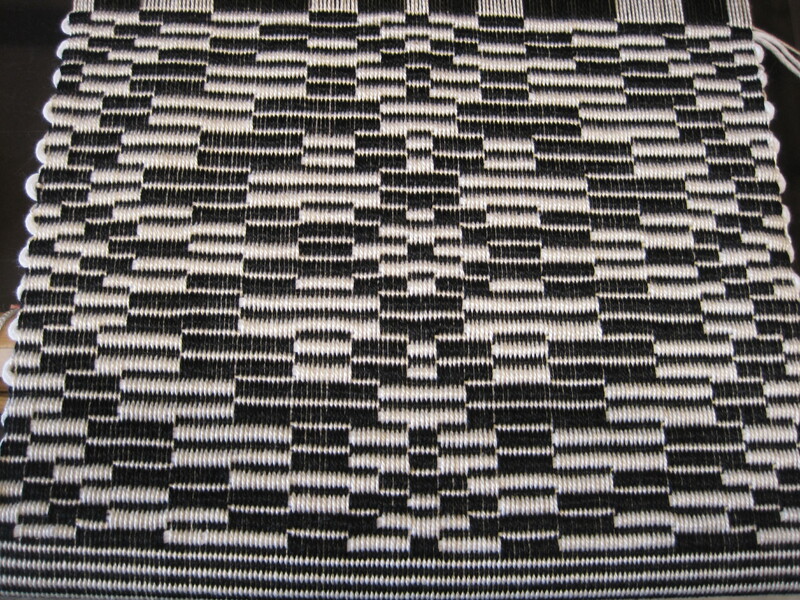 Repp weave is a relatively simple to weave, based on plain weave pairs with elements of colour and weave and double weave thrown in. The beauty and versatility is all in how you put it together. 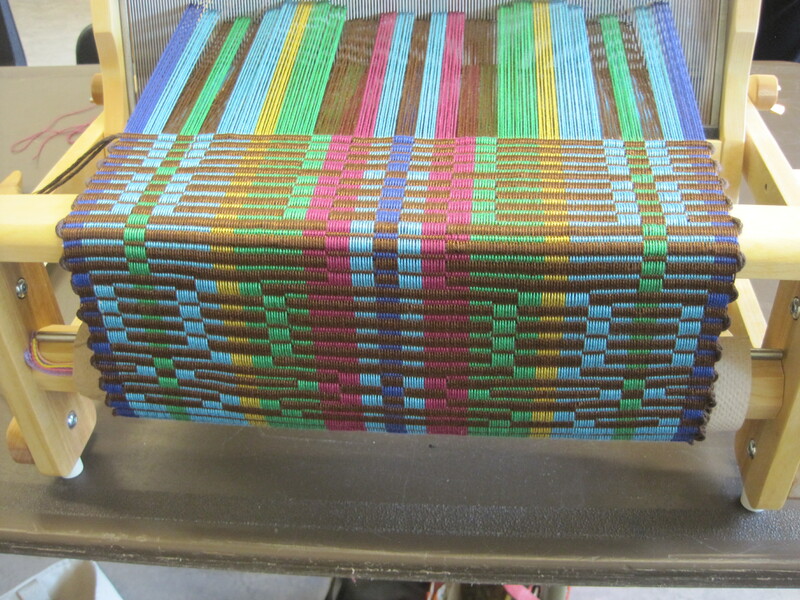 Rosalie is a master of this weave and her work is stunning to see in real life. 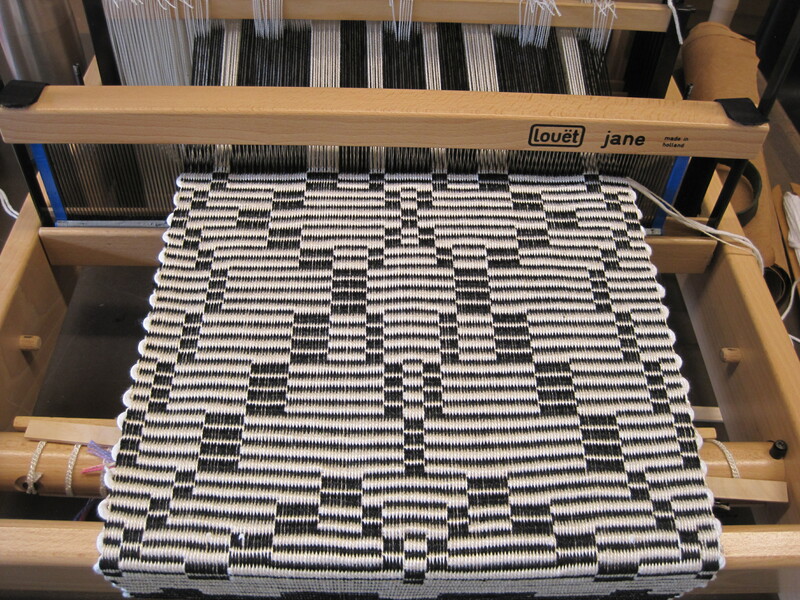 For this workshop I chose a simple black and white for my warp and the pattern motifs are showing up in clear contrast. A quick glimpse of my co-students’ work shows Ariane’s work in regal purple and gold, and Sandy’s with a very multi-coloured side contrasting with dark brown. Hurray for our differences. We learned how to splice in the thick yarn at the beginning, ending, and in the middle when the shuttle ran out of yarn. 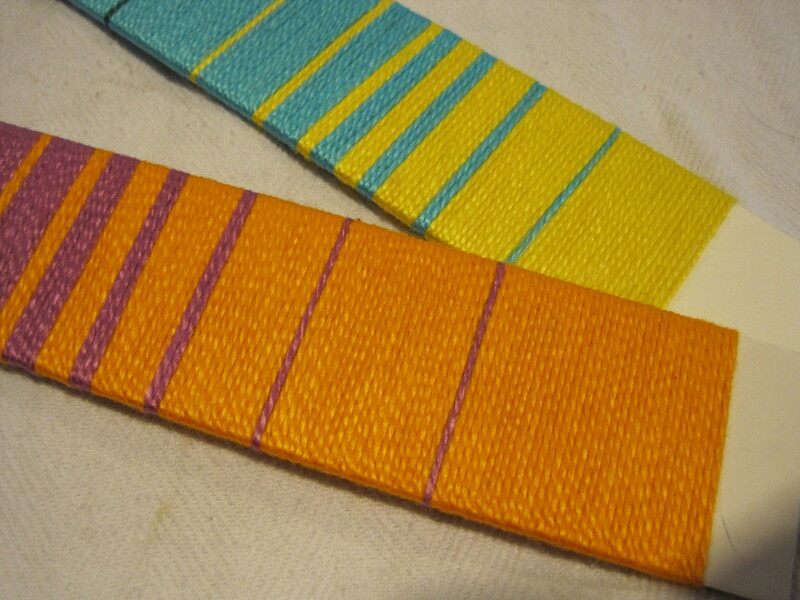 Rosalie also helped us understand how to create a skeleton tie-up for an 8 shaft floor loom, and sent us home to do colour wrappings with random colours. 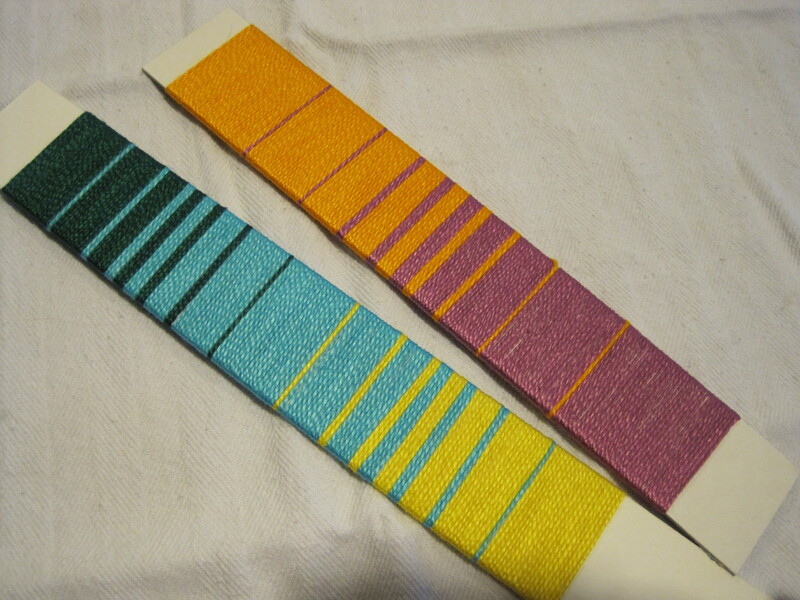 This entry was posted in Weaving and tagged colour wrapping, hand weaving, Repp Weave, Rosalie Neilson, weaving workshop. Bookmark the permalink.